Disposable Cup Shaped Face Mask / Particulate Respirator with Activated Carbon and Exhalation Valve. 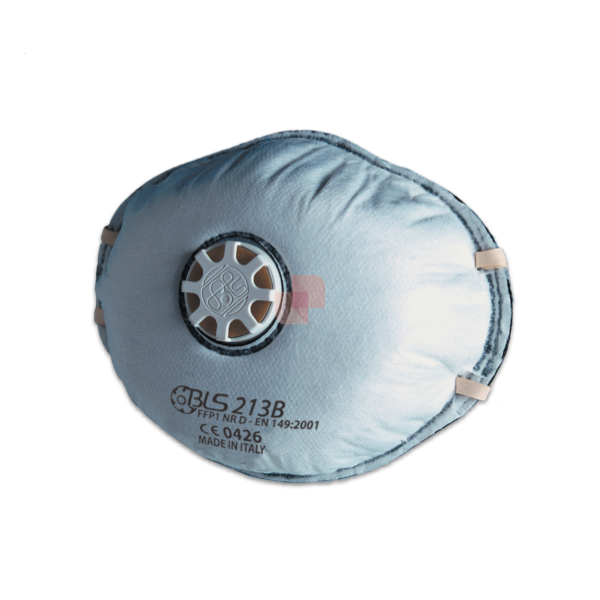 The Cup Shaped Mask is an half face protective Respirator, a personal protective equipment effective in respiratory protection of the worker exposed to dusts, fumes, mists (potential irritants of throat and upper respiratory tract). Disposable, featuring Activated Carbon filter and Exhalation Valve, these Protective Masks allow the worker to work safely, avoiding to breathe, together with the air, all that is mixed to it, in the form of steam, of microscopic liquid particles (aerosols) or solid microparticles (fumes and dust). Furthermore, the exhalation valve facilitates breathing, ensuring maximum comfort and protection, while the presence of active carbon, effective in retaining unpleasant odors, allows to operate, avoiding the exhalation. FFP2: against aerosol solid and / or liquid indicated as hazardous or irritating.